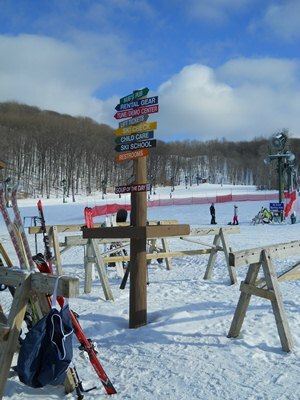 Up North is THE place to ski and snowboard as well as snowshoe and cross country ski. With spectacular conditions at our three ski resorts near Petoskey, Harbor Springs, Charlevoix, Boyne Falls and Boyne City, Nub's Nob, Boyne Mountain, and Boyne Highlands, Northern Michigan is the winter destination with the most terrain in the Midwest. Check out the webcams, too! For the latest in Up North skiing and board conditions plus live webcams, here you go!